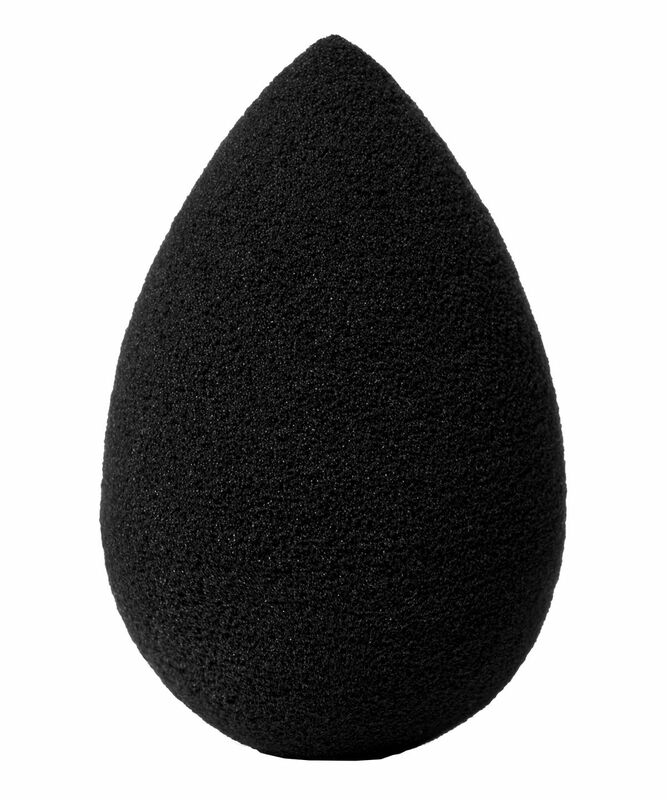 With 360 degrees of edgeless perfection and an innovative open cell structure, that retains moisture to minimise make up absorption (so you waste a lot less product), Beautyblender Pro Black permits optimal dispersion of base, concealer, blush or bronzer, to grant skin a beautiful, soft focus finish. Just dampen the sponge – it expands to almost double the size when wet – then squeeze our any excess moisture and ‘bounce’ product over skin for an enviably flawless effect. What’s more, it’s latex-free, non-irritating, non-allergenic and odourless. It’s also long-lasting and easy to clean. With the same, elliptical shape of the original, Beautyblender Pro Black fits perfectly to the contours of the face to effortlessly blend and blur darker make up (which has a tendency to stain the lighter, pink sponge) – think base, contour or bronzing products – to achieve a seamless, airbrushed finish. This permits virtually undetectable enhancement with no fuss and next-to-no product wastage. A favourite of the AAA-List (Oprah and Beyonce are both fans), the rounded bottom is perfect for applying liquid, cream or powder formulations, while the pointed end allows easy access to hard to reach areas – around the nose, beneath the eye and to cover-up the occasional blemish. Beautyblender Pro is easy to use: simply wet, squeeze and bounce your way to make up perfection! Replace and never miss a bounce! It's recommended that you replace your Beautyblender every 3 months. I had multiple ones and when I bought this from here was an obvious difference. The finish of the sponge was different, when wet the shape was deformed and not the same size as the original. I never had issues with cult products but something went wrong here. Very fast shipping (before christmas), and the product works wonderfully. I’ve tried so many sponges, including the beauty blender ones. This one is the best ever. I bought this this beauty blender as a ‘treat yourself’ moment instead of getting my usual Real Techniques beauty blender. 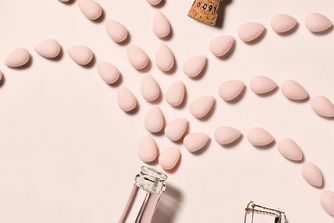 From the first use I felt the difference between using a drug store beauty blender and a high end one, the end result is flawless and it’s definitely been worth the investment! Love this beauty blender. It does fade to a grey colour after a few washes though. Anyone hoping to get black to hide how dirty it is - it doesn’t work. The foundation still shows up on this beauty blender just as much on the others. Could not live without this now! You can feel the quality difference between a non-branded sponge and the Beauty Blender - and now there's no going back. It blends foundation and concealer to give flawless looking skin and is so easy to use. If you haven't got one of these in your tool collection yet...get one! Ride or Die for Foundation! I wasn't sure how good a sponge could possibly be, I have oily, acne prone skin where medication can also cause flakiness. However this makes the texture of my skin look flawless. My only concerns would be cleaning and its ability to create a full coverage look. Large, flat sponge which just about fits in the palm of the hand. I use it to apply damp to help blend fake tan into hands, feet and décolleté by gently 'bouncing' a small amount of product over the skin. As the sponge is black, you cannot tell which side of the sponge you have used so I would highly recommend wearing gloves to avoid stained palms! It's quite tricky to get the hang of, especially tanning the hands, but practice makes perfect. Beauty blender sponges are the best in my opinion. Will never use anything else again. Love the Black Beauty Blender it's better than the others, blends my makeup effortlessly. I bought this black beauty blender pro recently instead of the regular one. Love this product. Blends makeup like a pro. Will buy it again and highly recommended. It works. But it’s way too soft. I much prefer the real techniques sponge, just feels like it’s actually doing something. When I use the real Beauty Blender I feel like it just folds up on my face & is too flimsy. I really don't understand how I lived my life before beautyblender. When purchasing this item I did not realize that I would be expecting a smaller beauty blender. I thought it would have came in the same size as the original one. Unfortunately I had to send it back. was just not the same quality. I've given it two stars because it does still blend product really well but it annoyingly sheds a lot and so you end up with little pieces of black fluff on the face. Stick to the pink!! Its worth the money. Last long too. I love my Beauty Blender because it can be used for foundation, cream blush and contour. You must wet your Beauty Blender and then squeeze it so it's damp and has expanded slightly. If you use it with dabbing motions you'll get the best result. Beauty Blenders are a little pricey but if you clean it and look after it then it'll last a long time. It's essential for every makeup kit. I prefer my beauty blender over any brush to apply and blend in my foundation. However, the material does crack a bit after a few months, but that doesn't bother me too much. I would repurchase it anyway.